Heavy Duty UpPipes for the 2003-2007 Ford 6.0L Power Stroke to replace the factory exhaust feed system (exhaust manifold to the turbocharger) which is prone to leakage. The escaping exhaust and heat causes loss of turbo drive pressure and increased EGTs. 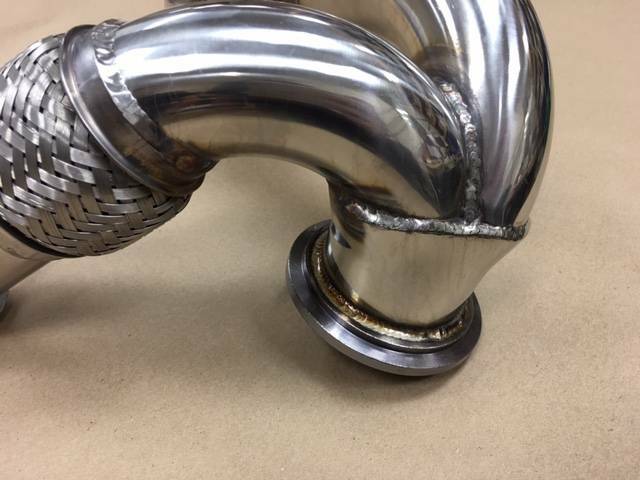 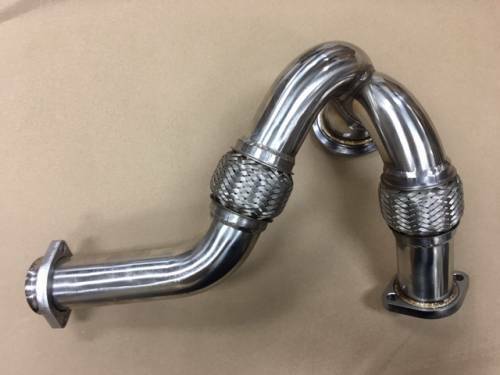 The Stainless Steel piping sized to maximize transfer of heat energy to the turbo come with less restrictive, internally shielded stainless flex couplings that are not directly exposed to exhaust gases thus reducing the chance for burn out. 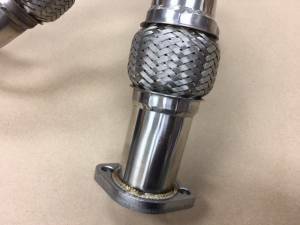 The stainless steel flex couplings isolate vibration generated by engine.